Michael I Rangabe (Greek: Μιχαήλ Α΄ Ραγγαβέ, Mikhaēl I Rangabe), (died January 11, 844) was Byzantine emperor (811 - 813). Michael was the son of the patrician Theophylaktos Rangabe, the admiral of the Aegean fleet. He married Prokopia, the daughter of the future Emperor Nikephoros I, received the high court dignity of kouropalatēs after his father-in-law's accession in 802. Michael survived Nikephoros' disastrous campaign against Krum of Bulgaria, and was considered a more appropriate candidate for the throne than his severely injured brother-in-law Staurakios. When Michael's wife Prokopia failed to persuade her brother to name Michael as his successor, Michael's supporters forced Staurakios to abdicate in his favor on October 2, 811. In 812 Michael I reopened negotiations with the Franks, and recognized Charlemagne as "basileus (emperor) of the Franks", in exchange for the return of Venice and Istria to the Byzantine Empire. However, under the influence of Theodore, Michael rejected the peace terms offered by Krum and provoked the capture of Mesembria (Nesebar) by the Bulgarians. After an initial success in spring 813, Michael's army prepared for a major engagement at Versinikia near Adrianople in June. 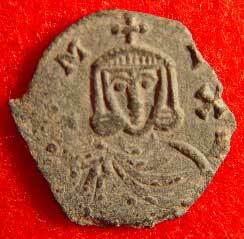 The Byzantine army was turned to flight and the emperor's position was seriously weakened. With conspiracy in the air, Michael preempted events by abdicating in favor of the general Leo the Armenian and becoming a monk (under the name Athanasios). 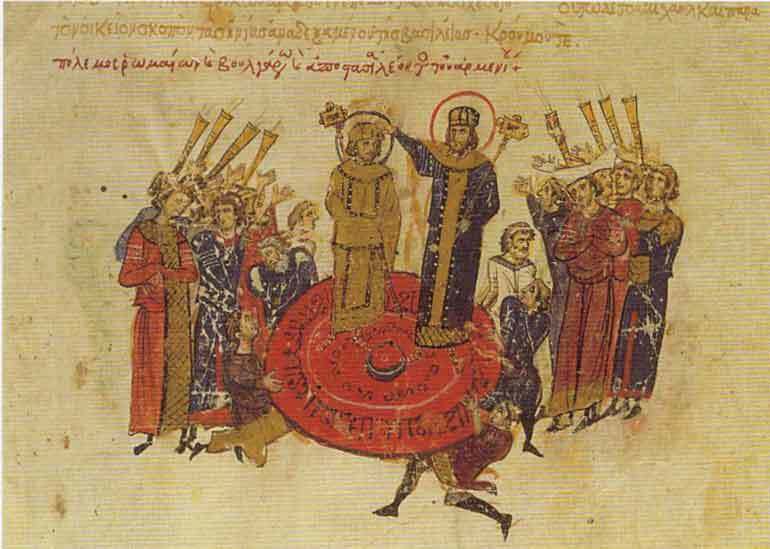 His sons were castrated and relegated into monasteries, one of them, Niketas (renamed Ignatios), eventually becoming Patriarch of Constantinople. Michael died peacefully in January 844. Theophylaktos, co-emperor from 812 to 814.